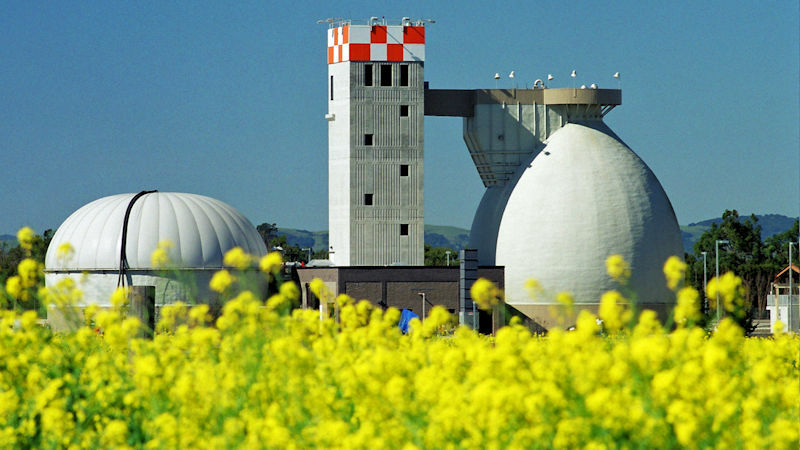 The Napa Sanitation District (NapaSan) provides wastewater treatment services to 80,000 customers in and around Napa, Calif. Photo courtesy of NapaSan. When word began spreading on Facebook and through local media that the Napa Sanitation District (NapaSan) would be hosting its first citizens’ academy this fall, Stephanie Turnipseed tried to keep her expectations in check. 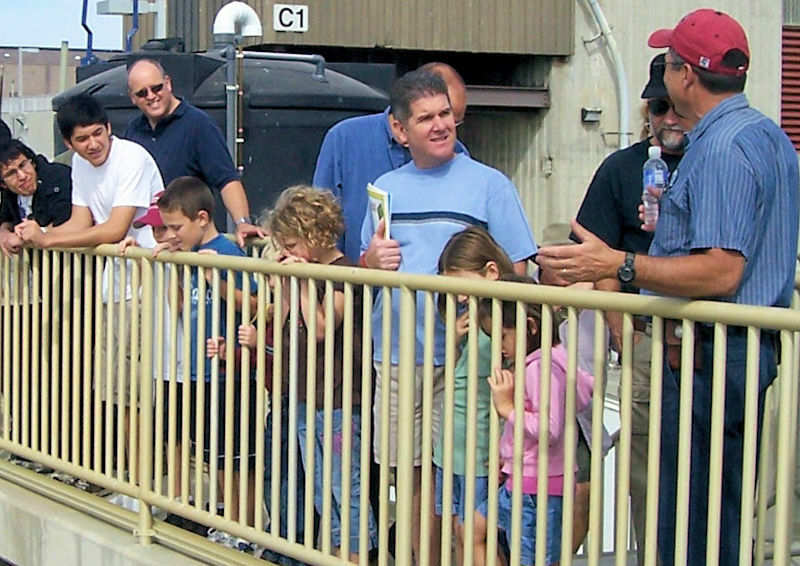 “In the past, we’ve found that people just don’t want to know what happens when they flush the toilet,” said Turnipseed, pollution prevention and outreach coordinator for NapaSan, which serves 80,000 customers in and around Napa, Calif.
A NapaSan employee educates a tour group about wastewater treatment processes. Photo courtesy of NapaSan. But when the registration deadline arrived on Aug. 15, a total of 28 residents — nearly double the number Turnipseed expected — signed up for the free, four-week educational program. On the morning of Oct. 6, the group met for the first time. They took an in-depth tour of NapaSan’s treatment facility along the Napa River. Participants are spending the next three Tuesday evenings participating in classes on water reclamation, onsite energy production, and the beneficial reuse of biosolids. Each 2.5-hour session included a presentation by NapaSan managers, a hands-on activity or demonstration, and a light dinner. Turnipseed said program costs, including food, supplies, and advertising, totaled about $1,000, not including staff time. The district got the idea for the academy from the City of Napa, which launched its own citizens’ academy to improve residents’ understanding of city government, Turnipseed said. They also took tips from the larger-scale Central Contra Costa Sanitary District (Martinez, Calif.), which hosts a citizens’ academy focused on water recycling and resource recovery. 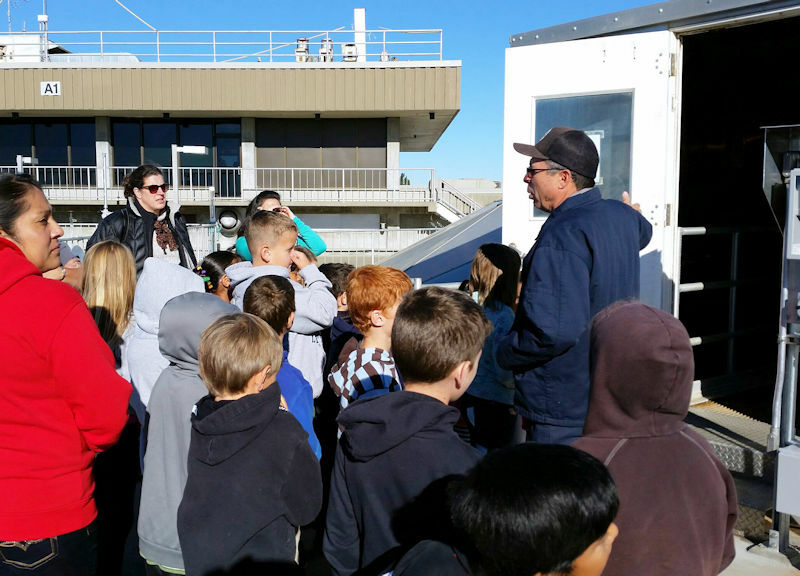 The citizens’ academy expands on the facility’s efforts to educate the public about wastewater treatment through tours such as the one pictured as well as an annual open house and school-based education programs. Photo courtesy of NapaSan. NapaSan’s citizens’ academy serves a similar purpose, Turnipseed said. NapaSan’s community outreach also includes school-based education programs, community plant tours, and an annual open house. The effort reflects the independent special district’s desire to change public perception of their role in the community. To change perceptions, the district also rebranded, changing its name from Napa Sanitation District to NapaSan in early 2017, Turnipseed said. The facility works to educate about its role in the community to treat wastewater, produce resources, and protect public health and the environment. Photo courtesy of NapaSan.